With new looks, enhanced performance and refinement, a host of features and a new interior, the new Nissan Murano is an evolution of the original. "The first Murano was the original sporty crossover," says Nissan Motor Co. (Australia) Managing Director and CEO, Dan Thompson. "The new Nissan Murano is more stylish outside than before and more luxurious inside. “It drives and performs better, it’s more comfortable and it has many new and innovative features. But at its heart are all the strengths that made the original such a success," he says. 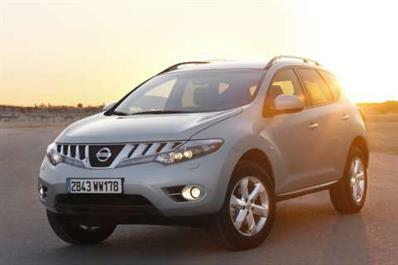 "Externally, new Murano is a clear evolution of the original, but the interior is quite different. We have changed the ambience of the cabin from sports activity to club lounge comfort. It is just as roomy as before, but far more luxurious." "The original Murano handled well, but the second generation version is better still. With greater torsional rigidity, a revised suspension layout, and even more attention to noise absorption, the new vehicle raises the dynamic stakes even higher." "The basic engine architecture hasn’t changed, but attention to fine detail has helped develop an engine that not only delivers more power, but does so using less fuel and producing fewer emissions." "While the new Nissan Murano has a huge list of features to make driving or being a passenger even more relaxing and comfortable, it continues to be a very secure and safe place to be," he says. The new Nissan Murano arrives in Australia priced (RRP) at $45,990 for the ST model and $55,890 for the Ti model. Both come standard with the Nissan Xtronic CVT transmission. When the original Murano was launched five years ago, it found an appreciative audience, customers who were seeking a sporting drive that also incorporated elements of an SUV. In the Nissan Murano they found what they were looking for: a vehicle that ‘crossed over’ from SUV to passenger car. Approximately 120,000 Nissan Murano models were sold in the life of the first generation vehicle in some 130 countries.